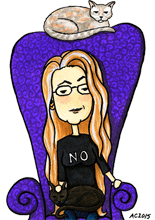 It’s Tuesday and that means tentacles! 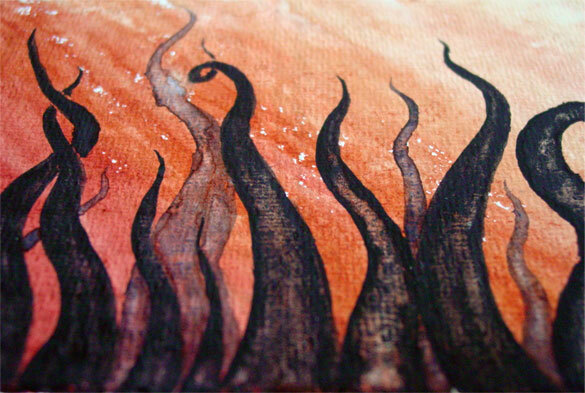 This is painted on a handmade postcard from India, just like Tentacle Deeps 12 & Tentacle Deeps 13. I actually use the same two colors of paint for the wash on this as yesterday’s art, but the fade is much looser, and there’s no pure pigment, just different mixtures. When I went to put the tentacles on, it struck me that I hadn’t done a horizontal one yet, and so I used the granular lunar black watercolor to paint in these tentacles. 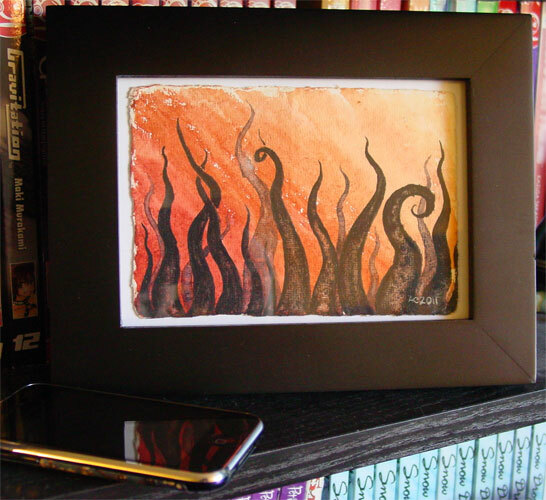 The paint settled into the groovs in the paper, emphasizing the texture of the paper and letting the background color glow through the black as though the tentacles are strangely translucent. 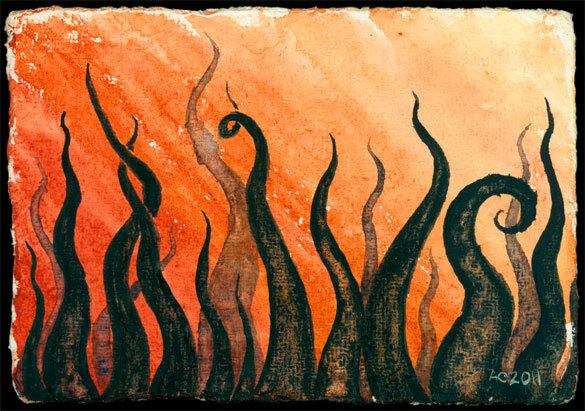 Tentacle Deeps 16, ~4″x6″ watercolor on handmade paper. I can’t resist taking these bottom-up shots whenever I’m photographing these tentacle pieces these days, even though there’s no salt at all on this one. Here we are, a photo of the framed piece with my iPhone providing scale.